Free tennis, provided by Inchgarth, 7 days a week at our four tennis courts up and Devenick Place, Garthdee. This service is available all year round, 7 days a week, 52 weeks a year and possible only due to Inchgarth's hard work and our fantastic volunteers who worked hard to clean the courts. We hope you enjoy the courts as often as you like. 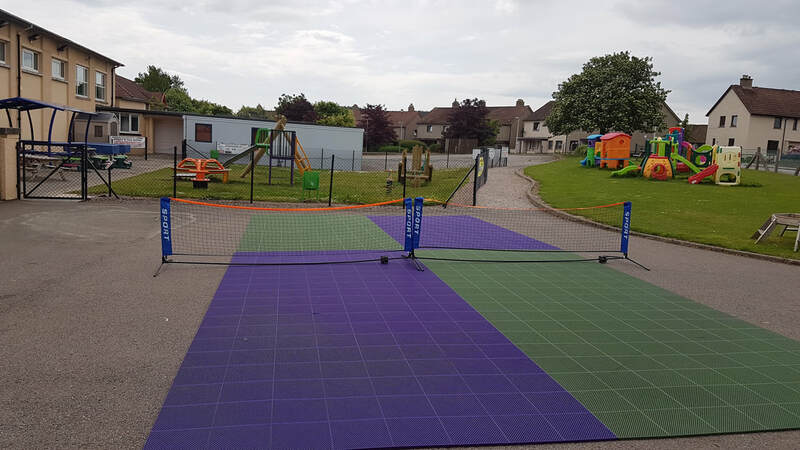 If full size tennis isn't your thing, then why not pop down to Inchgarth and enjoy our FREE mini tennis which was kindly donated by Andy Murray and Judy Murray. All ages are welcome to enjoy these free facilities. Enjoy!